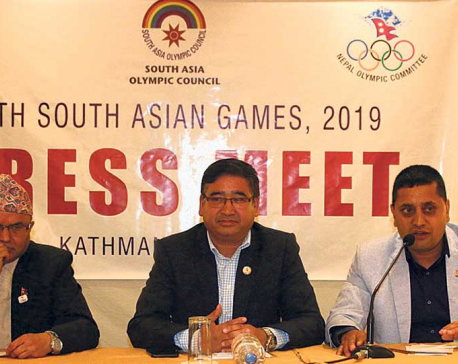 KATHMANDU, Jan 24: The South Asian Olympic Council (SAOC) is set to meet on March 2 to decide the proposal for rescheduling date for the 13th South Asian Games. Earlier, the National Sports Council had sent a proposal to the Nepal Olympic Committee requesting for SAG's postponement citing infrastructure construction. The Committee has received the postponement proposal and the SAOC will meet in Thailand on March 2 to discuss the matter, said Jeevan Ram Shrestha, President of the NOC and SAOC.